I am very satisfied with a neat and tidy job well done. - C Harris. Richarson Gill Estate Agents use Topsparks as their electrical contractor for our rental properties, Topsparks give a fantastic level of service at superb prices and always respond quickly and efficiently to any electrical emergency we have - Andy Richardson Director of Richardson Gill Estate agents. Many thanks for the prompt and excellent work - John Dry. The Topsparks team are reliable efficient and friendly, their work is always a fantastic quality and they offer very good service at competitive prices and I have no hesitation in recommending them - Ryan Holmes, Residential Lettings Associate Chesterton Humberts Sherborne. 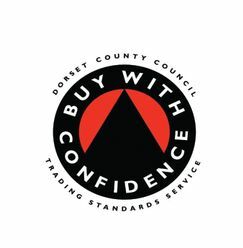 All traders on the BWC scheme are fully vetted and monitored by Trading Standards, customer feedback is provided for extra information. Excellent service. Quick to answer queries. Electricians were polite, did a good job and tidied up after themselves. Would recommend. We have dealt already in the past with Topsparks and we were pleased with their work. This time we had our bathroom redone and again, excellent work has been carried out. Over the past two years we have used Topsparks on numerous occasions and have found then very efficient, clean and friendly. An excellent service, they arrived at a good time, they were helpful and informative. They completed in a good time and tidies up thoroughly. Gave us confidence in the work carried out. Top quality workmanship from an experienced team of experts! I would use and recommend again. A long job over many months. Worked well when on site. But sometimes difficult to get start dates for next start. A friendly and very helpful service, with good communication. The work was done promptly and to a high standard. "I have known them for over 30 years and feel very comfortable with them and their electricians, as a retired builder they come highly recommended"
"Always reliable, they turn up when they say they will, polite and efficent"
"Very prompt, pleasant, helpful, and clean workers" "Local company first class service"
" Excellent, understood complex electrical systems" "Very good service"
"very obliging tidy & efficient - good value" "Very informative" "Excellent service"
"Topsparks are reliable, honest and offer excellent level of workmanship, I would highly recommend them"
"Top job from Topsparks" "Clean, tidy and know their business, Very good"
"Very efficient, helpfull company, Excelent service" "Brilliant, cost effective and quick"
"Always excelent work - Always impressed" "Gave no unbiased and Good advice"
"Excellent profesional service from day one, A good friendly team"
"A very professional service and aftercare - Excellent" "Allways very good"
"Very reliable and very reasonable" "This is an excellent outfit - Topsparks, Top Marks"
"Topsparks are allways friendly, helpfull and do a great job" "Clean and Tidy"
"Excellent customer sevices, always willing to help and come at short notice"
"Topsparks have done alot of previous work over the years, and i am always delighted with everything they do"